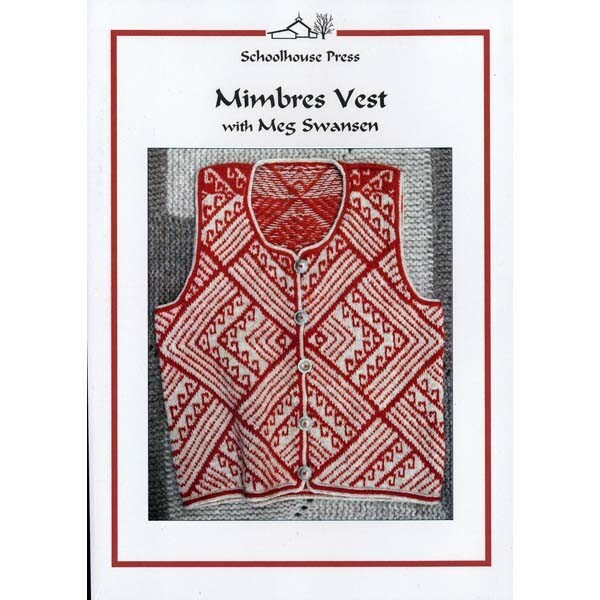 Go on a knitting vacation with Meg - featuring her beautiful all-over patterned Mimbres vest. Based on motifs from Native American pottery, it is worked on circular needles from the lower edge to wanted length to underarm, where a pair of steeks are established. Continue to the base of the scooped neck, insert another steek, then onward to wanted shoulder height. Shoulders are united and the steeks are machine-stitched and cut. I- Cord borders are knitted directly onto the edges of the armholes and all around the periphery of the vest. Meg guides you through all techniques, including: Long Tail casting on, following the chart, trapping the carried color, steeks (machine stitching and cutting), 3-needle I-Cord cast off, EZ's Applied I-Cord, neatening the cut edges and blocking. Filmed on location in New Mexico and Arizona. 60 minutes. DVD.